It has been a fun weekend in my world of writing. In the past four days, I've attended two book launches for colleagues of mine from AllWriters' studio. This is a really cool problem to have, actually. When people you've worked hard with for years start having success along with my own, well, it's really fun. 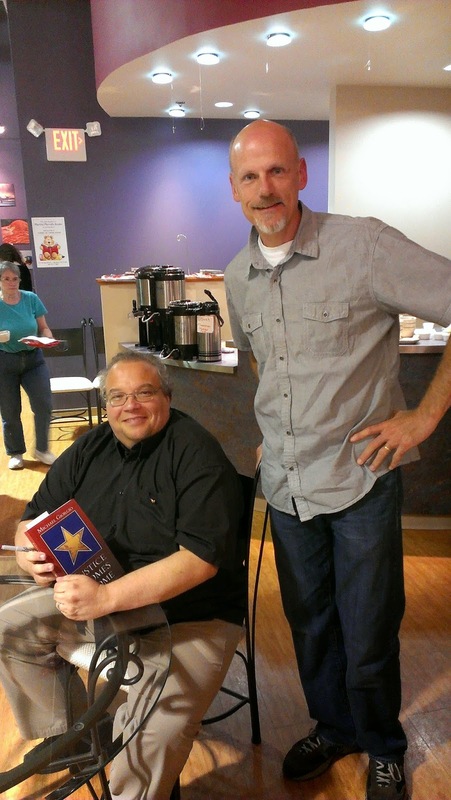 This past Thursday night, one of my writing instructors, Michael Giorgio released his first novel Justice Comes Home at Martha Merrell's Bookstore in downtown Waukesha. His story is a mystery based on an event in downtown Waukesha that was held after the close of WWII. He uses the clever town name of Devlin's Crossing in place of Waukesha and uses the crowd gathered at the town center to set the stage for a murder. I won't give away any more of the story, but suffice it to say it is a really fun read. He mixes mystery, intrigue and humor throughout to keep the readers interest. Anyhow, it was a great evening. Michael and his wife Kathie were instrumental in helping Dirty Shirt become what it is, so I am forever indebted to both. The Waukesha Historical museum even sent a historian along to give a framework for the event. A nice touch. 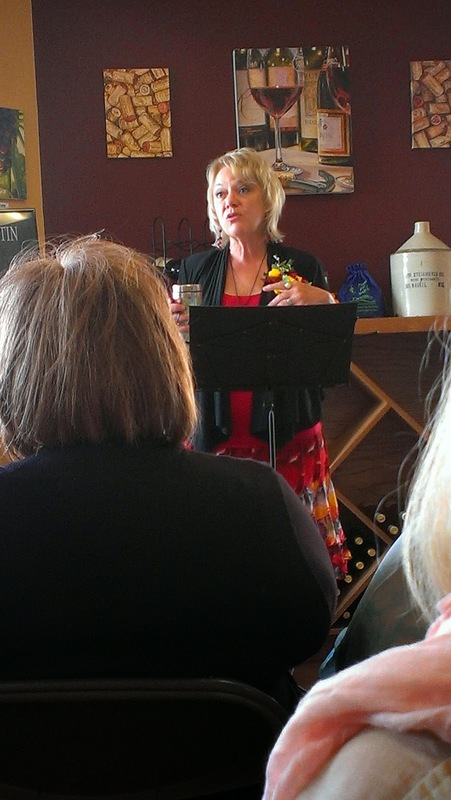 Then, yesterday I attended Lynn Carol Austin's book release for her first novel, Ten of Swords. This event was held at Water to Wine in Brookfield. Lynn's book sees the paths of a Christian and a Tarot Card reader cross with some fun consequences. When she read, the room was rapt. In addition to being a great writer, she's quite a storyteller. She left the audience wanting to hear more. Lynn's reading was accompanied by a harpist which was a nice touch. It did leave me wondering how I came to this point in my life where one minute I'm watching the lead singer for Cage the Elephant stage dive into the crowd at the Bradley Center, and the next minute drinking Chardonnay and listening to a harpist at a book signing. I'm pretty convinced it's the sign of either a rich, broad life, or a serious identity crisis. The success string continues this week when, on Thursday, I'll be going to yet another signing, my third in a week. This time it will be for Diane Valentine who wrote her first memoir Family Secrets. This one is also being held at Martha Merrells. On top of those three items, I got more good news on my book. It is now in circulation at both the Superior and Eau Claire libraries in Wisconsin. These are bigger markets, so I'm happy to be in both. It's still cool seeing it in ANY library, but the more the merrier. More to come soon. 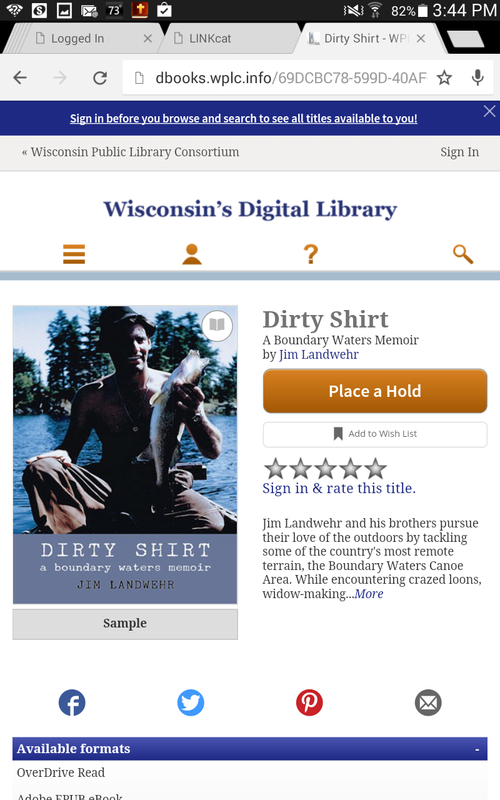 I also found out it is in Wisconsin's Digital Library, as an eBook, which is great news too. When I heard that books are occasionally "purged" from library shelves after they have not been checked out for many years, I was a little shocked. The cool part of the digital library inclusion is that I'm guessing that means it will be available into perpetuity, as files don't take space like a hard copy does. An author can hope, can't he? Personal sales are still going well too. People continue to send pictures of themselves enjoying the book in various places. I just can't describe how much fun this whole experience is. I am a lucky man to have such a supportive audience of readers, friends, family and colleagues. I appreciate every one of you! So, thanks again. Thank you for the kind words! I'm enjoying watching the success of Dirty Shirt (which is 99.9% you, my friend). You deserve all of the good things coming your way.